It seems fitting that Wario, who first appeared on the Game Boy care of Super Mario Land 2: 6 Golden Coins (one of my personal favorites) in 1992, has since made a home in Nintendo’s digital handheld catalog. The WarioWare series by now has been going for a solid fifteen years, and with each iteration it has delivered innovative little “microgames” that make use of Nintendo’s unique hardware features, be it on the Game Boy Advance or Nintendo DS or, occasionally, consoles like the Gamecube. The formula returns in WarioWare Gold, as players progress through a set of minigames that highlight the technology of the Nintendo 3DS, be it the touchscreen, tilt screen, or something in between. The minigames are divided into three sections based on how you interact with them, tapping, touching or twisting the lower screen, and each are a string of brief puzzles that must be completed in a short amount of time. Failed attempts to solve them will count as a lost life (out of a total of four), and coins, which are earned by successfully finishing the level, can purchase a continue. It’s about as riveting as it sounds. There’s nothing inherently wrong with minigame collections, and normally I don’t mind it that much when a handheld game isn’t as fleshed out as a console game in the series; often, its size and scope are well suited to its price and premise. And, indeed, WariorWare Gold is the biggest one yet, in that it offers more microgames than any of the others. But still, there’s something off about it. The sum of its parts are deeply unsatisfying. The story isn’t interesting. The minigame objectives are unclear. The character designs are generic, even the returning ones like Mona and Jimmy T. The cut scenes drag on. The graphics look low budget. And the voice acting is atrocious (especially Wario’s—Charles Martinet must’ve been having an off day). Most Saturday morning cartoons have better production values. The game’s mediocrity is very distracting. Some could try to defend it by saying WarioWare Gold is made for kids, but that kind of thinking doesn’t give enough credit to kids. Also I have my doubts that the minigames and puzzles are clever enough to hold their attention, anyway. The whole thing kind of comes off as if they’re making one last stab at trying to justify the novelty of the 3DS (and by now, it’s far too late in the release cycle to get away with that). I would not be surprised if WarioWario Gold’s minigames had started out as a list of little puzzle ideas collected or leftover from the device’s conception stages while they were brainstorming other games. While the concept could have been a lot of fun, I don’t like how the difficulty of each minigame relies on how much it puts the player on the spot. Absent the element of surprise, they’re supremely uncompelling. As a first-party Nintendo game, it’s entirely possible my expectations were a little too high going into the game. That said, it didn’t feel worth the storage space it took up on my SD card, even though I got it for free. The game aims for surreal and surprising, but just feels shallow. Desperate to find something nice to say about WarioWare Gold, I even tried the “kid test” and ran it by my young niece. 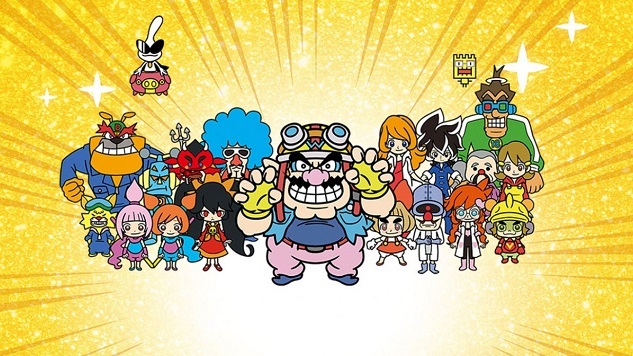 WarioWare Gold was developed by Intelligent Systems and published by Nintendo. It is available for the 3DS.